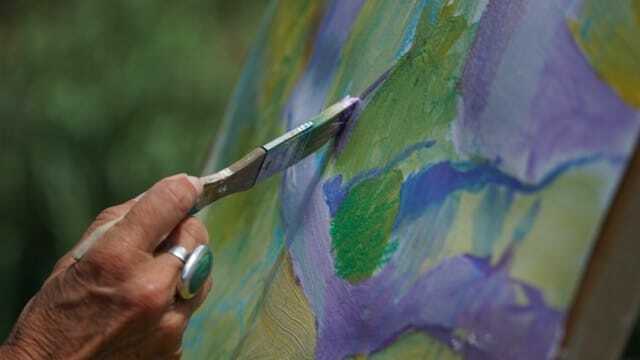 Wildpainting is allowing yourself to paint in ways you may have never attempted before and to immerse yourself in a natural environment that invites opening of all the senses. If you look at its special landscape, the island of Öland is about as far away from Sweden as you can get, while you still find yourself within it! Here you have the big wide open space of the mysterious Stora Alvaret (The Great Alvar). This is a barren limestone rock ecosystem with dispersed juniper trees and a wide variety of wildflowers, such as the spotted orchid and dropwort. Summers on Öland are usually surprisingly warm and sunny. 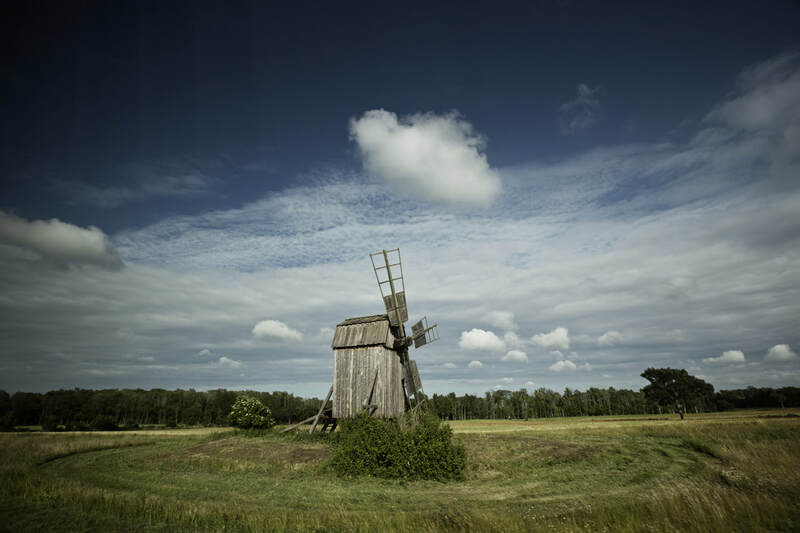 A large part of the south of Öland is classified as a world heritage area. There are quite a few wooden windmills, which are culturally protected. 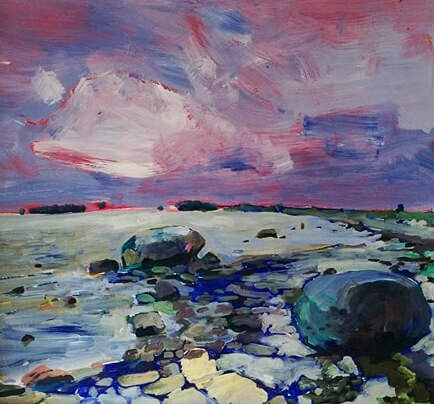 In this wildpainting course we will immerse ourselves in this big wide open space. We paint in the spirit of Henri Matisse, when he said that his choice of colours did not rest on scientific theory or a preconceived plan. For him, it was based on observation, on feeling, on the full experience of his sensibility. 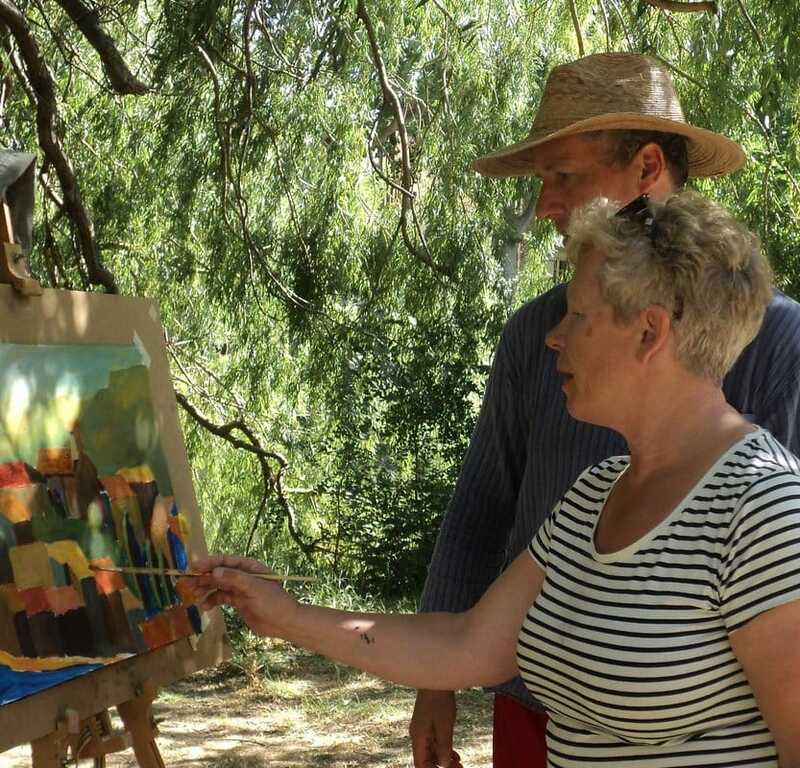 This wildpainting course is open both to beginners and to more experienced painters. 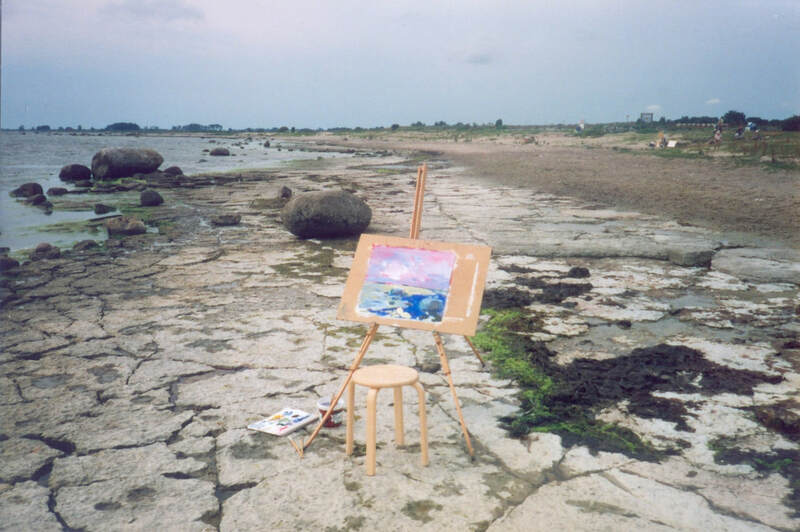 Allow yourself to be inspired to paint in a new way! Our base will be in the cosy hamlet of Resmo, located on the west side of Öland on the ridge overseeing the fertile Mörbylånga valley. 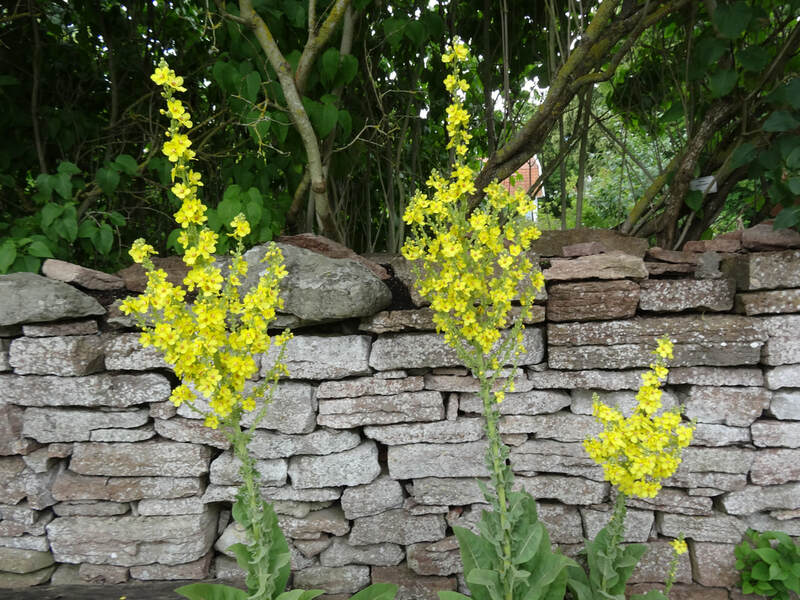 Excursions to the Alvaret, a barren limestone terrace and designated World Heritage site, arts and crafts school Capellagården, a favourite visitors’ destination with its lush vegetable and flower gardens, its summer exhibition and garden café, are also scheduled. 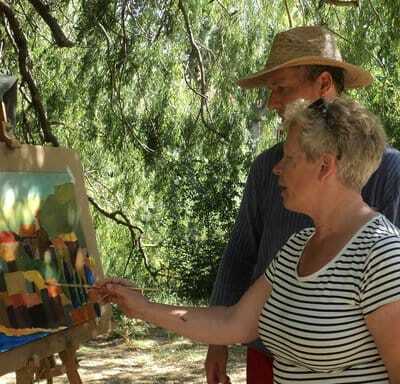 The course fee is €650 and includes meals, painting materials, excursions, as well as the vernissage party on the final course day. Please note: in the event of too few participants, we reserve the right to cancel the course. In this case we will offer the participants the opportunity to enrol in another course or to receive a full refund of the course fee (see Terms & Conditions). When the course is confirmed, it can be wise to be early with your bookings of flights, trains and accommodation, in order to get a good rate. Lodging is not included in the course price. We will be lodged in Gyngegården, which is a simple standard, fully equipped accommodation (within short walking distance). In addition to single and double bedrooms, they also offer rooms sleeping three people. Prices range from €120 (3 persons bedroom) to €180 (single room) per week. Please indicate your preference when contacting our host for your booking. Putting up a tent (for a modest fee) at Klockargården is also possible; please contact Cke Laver to inquire about possibilities. - Flight to Copenhagen. From there train to Kalmar. Pick-up service from railway station in Kalmar. Jan van Boeckel is a warm, engaging art teacher. His outstanding teaching methods, his painting skills and his passion for art and art history are very inspiring. He attends to each student's unique potential - no one will feel overlooked under Jan's caring guidance. In addition, he has the exceptional habit to join in with the students and paint for himself along with them. 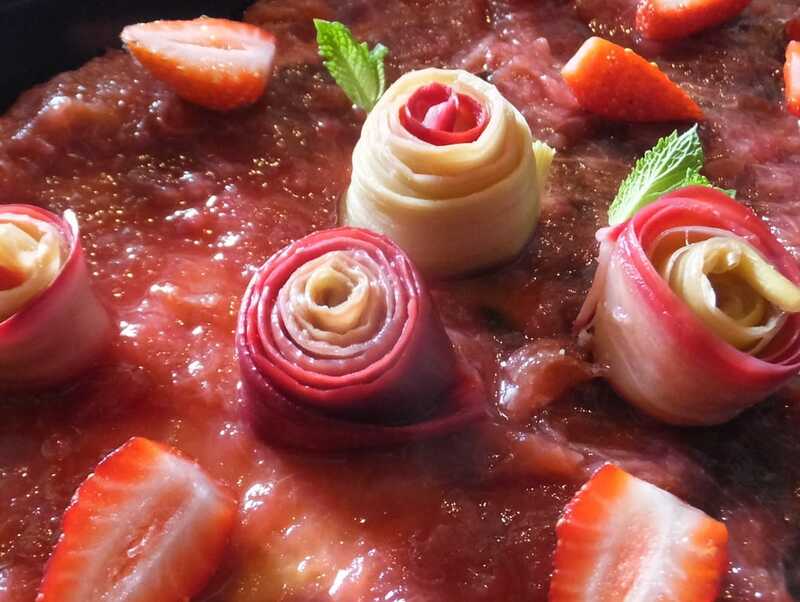 Thank you for a wonderful course!